Welcome to The Caipirinha, Brazil's national Cocktail! The IBA (International Bartenders Association) have adopted this Cocktail as a 'designated' Cocktail - meaning it is on their approved list. The Caipirinha is one of the strongest Alcoholic Cocktails in Brazil. Created with loving care, it is one of the most stunning, beautiful and gorgeous Cocktails ever invented. The combination of bitter and sweet with a mule-punch kick is simply unbeatable. 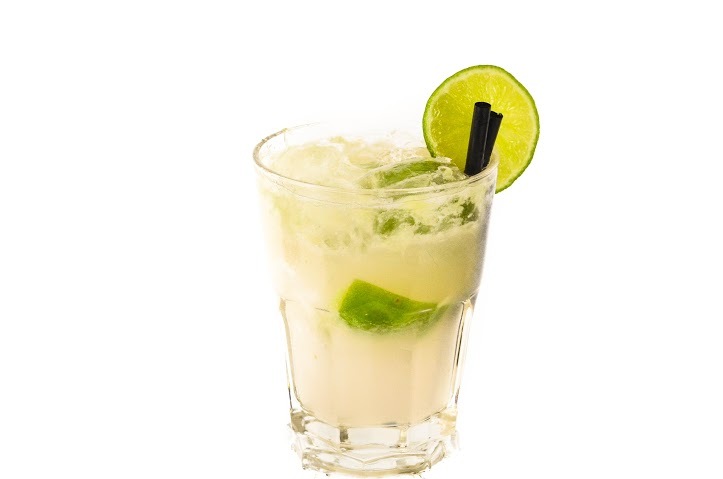 To make an authentic Caipirinha, Cachaça (a distilled sugar cane spirit) must be used. Cachaça is the star of this national Cocktail of Brazil. The word Caipirinha is derived from the Portuguese word Caipira meaning a local, country, backwoods person. With Cachaça, sugar cane and limes all grown in the country side, it is not hard to fathom out how all the ingredients happened one day to fall into a glass and become Caipirinha. What a great day that must have been. According to statistics (2007) 1.5 billion litres (390 million gallons) of Cachaça are consumed annually in Brazil. Only 15 million litres (4 million gallons) are consumed world wide...now that is a statistic to boggle anyones mind! It is distilled to 38% to 48% (alcohol by volume) commercially and more often than not, higher in home produced stills.